No images of Planet Power Installations. Planet Power specialises in reducing house hold and business power costs through offering a diverse range of products suited to reducing energy consumption in the home and business. We have helped thousands of people lower their energy bills and understand how to reduce their carbon footprint. Firstly thanks for going to the effort to make this website! We got one proper quote from planet power, one call that was from sorry I can't remember what company but they were basically not interested and trying to turn us off going ahead and another call that my husband did not return. Customer service is unbeatable, from Salesperson to owner of company.They took the time to travel, a fair distance,to view the site and then came back again to explain/discuss the system allowing us to make an informed decision on installing solar and updating old farm wiring. They were the only supplier to offer advice on micro inverters and were willing to provide quotes for both standard and micro installations. 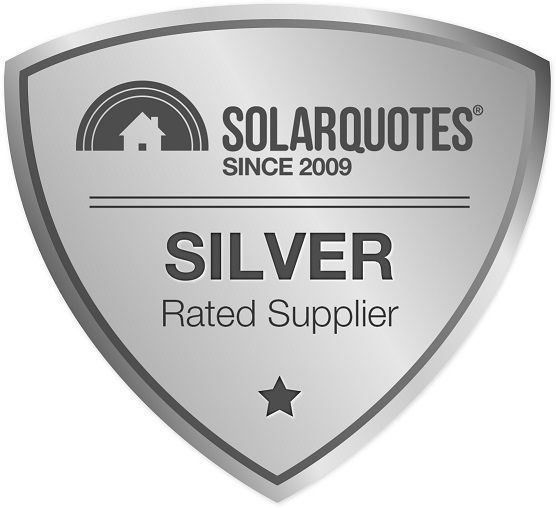 Solar Quotes site is the best site for well researched, accurate, authoritative information that I have found whilst doing my research into installing my own solar system. The site is very well set out in a logical, easy to follow way. There are lots of links to further research. The review section is of particular importance. I relied heavily on this section to help make my decisions regarding panel and micro-inverter selection. Whilst I had firstly decided to use the Renewable Logic company for a $15,000 solar energy and hot water system, I found that although they were good with the rhetoric and promises, they did not deliver when I was asking the detailed questions that I needed answering and I felt that it was too hard for them to provide any quality time for me. I even recorded a very negative comment about the service I "did not receive from them" despite many unanswered emails. I could not believe that I was offering to spend $15,000 in cash with this company but they could not be bothered returning my emails, which to this day, have still not been answered. So my advice to consumers is to shop around, ask the hard questions and then assess the quality of service that you receive because I would never recommend Renewable Logic to anyone despite their slick PR machine which I feel is rhetoric rather than fact. They have a real physical shop that I can walk into on any week day and I can speak face to face to one of their representatives. I am more suspicious of a travelling promotion moving from town to town like a circus leaving only email addresses or answering machines to deal with. Planet power terms and conditions seem reasonable and not a scam. proceeded with the project on the basis of an investment. The capital value is more or less added to the house and is subject to increase with inflation. From my calculations of the projected "tax-free income" (by way of savings in amount of electricity purchased + sale back of surplus solar power generated) rivals the best returns from say bank shares, and with the likely increases of electricity prices into the future that income should be maintained and increased too. Of course this is dependent on my assumptions of the amount of Solar energy I can produce, but over the last few days (the system started producing only last Saturday) the amounts recorded suggest that those conservative assumptions might well be reasonable. At present, the excess power exported returns a benefit only in that it 'turns' the existing meter backwards. I have to wait until Energex replaces that existing meter and, most importantly, until my retailer - AGL - agrees and implements the charges accordingly. Regarding the supply and installation by Planet, their sales manager was fairly aggressive, but did give the impression that he understood the product well. Their promise of about 3 weeks delivery fell down by about a month. During negotiations he answered your suggested questions (and others) readily and mostly satisfactorily. However I was lead to believe that the installers were directly employed by Planet. In the event, it was their sub-contracted electrician and his apprentice who arrived bringing the panels etc, discussed arrangements with me, and carried out the whole of the work on site. Apart from their not having been provided with any spare fixing rails (thus limiting flexibility of layout), they carried out the work well and expeditiously, obviously knowing what they were doing. The electrician returned the following day Saturday) to complete additional work of changes to wiring to run the pool pump and water heating on the cheaper Tariff 33. I am reasonably well satisfied with the job - subject to the work still to be done by Energex and arrangements with AGL completed. I have some feeling that maybe, with the ability to make better comparisons, I could have saved some money overall. But, for something expected to have such a long operating life, this is relatively insignificant compared with future inflation. Thank you for your efforts on my behalf. Possibly due to my ignorance on the technicalities of Solar Electricity, things have not worked out quite as I expected. The first of the quotes which you organised - Nicholls Solar - never did contact me. The second - Halcol Energy - did telephone reasonably promptly, but could not arrange a site visit until a week later. Before that time elapsed, I asked for an indicative price for a 3kW system without bothering with a site visit. The third one - Planet Power - was the first to ring and arranged to visit me the following day, and again subsequently. When buying say a motor vehicle, I list out the elements and specifications of various makes and models - price, engine capacity, engine efficiency, gearbox type and number of gears, drive train, type of 4WD arrangement, dimensions, clearance, suspension, wheel travel, turning circle, seating, etc, etc. - on a spreadsheet and allocate points against each thus shortening the list considerably. But I know so little about types and brands of solar cells and inverters and the system in general that I cannot apply a similar method. So I resorted to the internet to learn a little about the subject, finding your web site the most helpful. I did look at several supplier's web sites and found a very wide range of pricing including one supplier with four prices (ranging as much a 40% from low to high) for each size of system. And the range between firms was even greater, so that I realized that without a lot of technical knowledge I was not going to find a best solution. Then I asked you to supply three quotes assuming that the firms you suggest would be reputable, competent, generally complying satisfactorily with the criteria in your suggested list of questions, and using materials of reasonably good quality. Based in information on your web site I made conservative calculation of possible financial returns from a 1.5kW system. Since we have a pool pump operating 5 or 6 hours a day during the peak solar period (plus refrigerator on and off all the time), most of the solar power would be used by these resulting in a saving in power bought and showing maybe 5% pa tax free return on initial cost. Next, I did the same with a 3kW system with something like half solar power going as saving and half sold to the grid getting a figure closer to 10% pa tax free return. For what it was worth Planet agreed with my reasoning and gave me a firm price quote for a 3kW system, answered most of my questions satisfactorily and altered their payment terms by halving the amount wanted up-front with the main payment upon delivery and accepting my retention of a final amount until after the system is operational including changing meters, etc by Energex. And their warrantees seem to be as good as can be expected. I have accepted for installation around the end of the month. Halcol's quote was lower than Planet's being a copy of their standard web prices (based on a min $37 for Renewable Energy Certs). and I note that these have dropped in the last few days, presumably pushing that price up over $1000. At present, we have two (old) electricity meters one serving the hot water and the other the rest of the house, but both charged under Tariff 11. When we bought the house several years ago, I enquired about changing the hot water plus pool pump to Tariff 33, but was talked out of it at that time. Since then we have had a new switchboard installed and now, the electrician installing the solar system has quoted me a separate price to change the wiring to make hot water and pool pump "off Peak" (Tariff 33). This is attractive to me if it would work but it means that, theoretically, mains power would come in through one meter to feed the pump at the same time as solar power fed out to the grid through another meter. Is this possible? Our present Retailer is AGL. By the way, I enjoyed reading your series on Energy Efficiency. Subsequently - possible at your instigation - I did receive an emailed quote from Nicholls Solar. It was cheaper but possibly with inferior panels and certainly with shorter warranty periods. But I had accepted Planet's by then. There was a deal going with the supplier of the panels at the time we ordered. A split system air/con worth $1350 (about) and installed for FREE one of the reasons we went with Planet Power. Dealing with Planet Power has been very professional so far. Installation was very good we had issues with our roof and had to go to a slightly smaller system than we originally looked at. 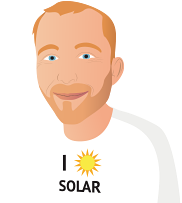 Even though the best quote was from Powersmart Solar I was not inclined to go ahead as the call made was redirected to N.Z.. From previous experience I have found getting someone local and for after-sales service this is the best way to go. Also there is so much fraud thru intenet sites it's very hard to trust even well known brands as some sites present such a good illusion that in the end take your money and you end up with nothing in no time! - It took some time to get small electricity provider approval from Country Energy. Not sure whether it was an application problem from Planet Power or paper back log at Country Energy. - Planet power tried to change the installation date at short notice. I had swapped work shifts a few weeks in advance to be at home during the installation, another person at work who had panels installed had the same problem.